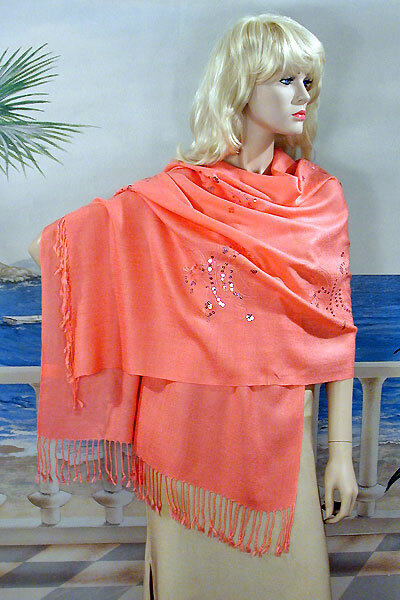 Long Soft Embroidered Shawl Wrap Long soft shawl with embroidered and sequined design and fringed edge. This is a lovely wrap for either day or evening wear. warm and comfortae, it is made with a blend of 95% acrylic and 5% pashmina. Color: coral Hue: Code: #FFA365.